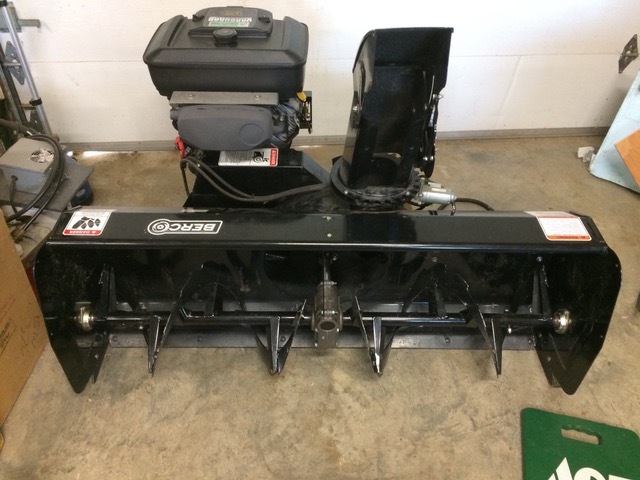 Bercomac 54″ uses the Cut 24″ skids with 3.5″/7″ spacing. The Bercomac Snowblower sits in front of an ATV or UTV tractor, and attaches to it. It is a great snowblower! The Engine is a Honda, and you can control everything from the drivers seat. Our customer sent a picture of his Bercomac, and it looks fantastic!